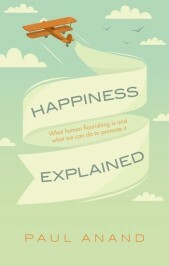 What is happiness and how can we promote it? These questions are central to human existence, and human flourishing now plays a central role in the assessment of national and global progress. Paul Anand shows why the traditional national income approach is limited as a measure of human wellbeing and demonstrates how the contributors to happiness, wellbeing, and quality of life can be measured and understood across the human life course. The following extract looks at the connection between income and wellbeing. A significant strand of economics research into quality of life seeks to understand the relationship between income and life satisfaction, and thereby to address one of life’s ultimate questions—does money make us happy? The simple question does not, always, lead to straightforward answers and we shall look at some of the relations between life satisfaction, income, age, employment, and the affluence of others that have featured in this field. A natural starting point for this work can be found in the work of Richard Easterlin who showed that throughout a decade of significant GDP growth, average levels of life satisfaction in the US population had remained relatively flat. One can argue that as income is unbounded, and life satisfaction was reasonably close to the top of the measurement scale at the start of the period, the result was not that surprising but it helps to raise questions about the reasons for pursuing income growth. If asked, most people would say they would be better off if their income were increased and yet—in terms of our experience of life—it seems it doesn’t actually push the needle over the long term. The paradox has been challenged more recently in a survey of the ‘new stylized facts’ about income and happiness in which three economists have suggested that life satisfaction is, in fact, positively associated with income and that this constitutes a refutation of the Easterlin paradox. Their observations include the facts that: richer people report higher life satisfaction than poorer ones; richer countries have higher per capita experiences than poorer countries; economic growth over time is related to rising life satisfaction; there is no satiation point beyond which the relationship between income and wellbeing diminishes. This body of evidence serves to make the point that connections between wellbeing outcomes and income inputs can be assessed in a variety of ways, that comparisons at one point in time take a form of their own, and of course that important positive connections between experience and income can be found. However, much if not all of this evidence is also consistent with the fact that experiential measures of life satisfaction are relative judgements. For example, when comparing countries, the relationship between income and life satisfaction flattens off after a country’s average income reaches about $15,000 (in 2005 prices)—not a huge sum for average households in high-income countries. More income beyond this will enable you to consume or save more, of course—but don’t expect to feel much better as a result. Job design and unemployment can have particularly significant impacts on experience. Using data on thousands of working age adults in Germany, one early study found that the negative impact on life satisfaction of being unemployed was some three times that of being in bad health. There were considerable variations across the life course, however, with younger people being particularly affected; for at least some older people, the decision to not be employed reflects a positive choice to retire so the study leaves open a question about the impact of forced unemployment. Nonetheless the effect on experience when compared with health problems is rather surprising and provides a reason, additional to the obvious financial ones, for making sure that young people have access to decent work. And indeed, a review by psychologists covering over a hundred empirical studies confirms that unemployed individuals have lower psychological and physical wellbeing and, therefore, provides evidence that, for a large proportion of the young, being without work is not a state freely chosen. The same study finds, in addition, that while the duration of unemployment has an impact on mental health, the level of unemployment benefits does not. Most significantly perhaps, for those who are unemployed, the centrality of work in their lives, their personal, social, and financial resources, time structure and coping strategies are more strongly related to experiential wellbeing than is human capital—at least as measured in terms of educational attainment. Coping strategies can play an important role by helping people in their search for work and managing their emotional reactions to the lack of decent and full employment. Repeated but unsuccessful job search is inevitably discouraging and dealing with emotional responses could help people through difficult periods. There is evidence, for example, that people restructure daily life in response to spells of unemployment in very different ways: some are able to organize their time, keep a sense of purpose, carry on with their activities, and avoid excessive dwelling on the past while others find all of these things a challenge. There is also some evidence that worklessness has an impact on future outcomes. Psychological wellbeing and physical wellbeing are not statistically associated with chances of returning to work (according to this review), suggesting that either these variables are poorly measured or that environmental factors are much more important predictors of the return to work. In addition, previous spells of unemployment have been shown to reduce life satisfaction, for both those in employment as well as those out of it. In other words, unemployment has the capacity to leave a psychological scar on those who experience it and, given the implications for future prospects, it would seem that the impact is well founded. Featured image credit: happiness field nature by marcisim. Public domian via Pixabay. Paul Anand is an economist involved in helping governmental organizations move beyond GDP. He has held posts at Oxford University where he obtained his doctorate on the foundations of rational choice. He has written extensively on quality of life issues through research funded by the Leverhulme Trust and the Arts and Humanities Research Board. He is a professor of Economics Decision Sciences and Philosophy at the Open University and a research associate in Oxford University and the LSE. He has been a founder of the Oxford Foundation for Knowledge Exchange and is a Fellow of the Human Capability and Development Association. His latest book is Happiness Explained (OUP, 2016).